2nd September 1916, aged 23. Son of William Joseph and Ellen Langrish. Native of Newtown, New South Wales. From Newtown, Sydney, NSW. A marine fireman prior to enlisting, he embarked from Sydney aboard HMAT Star of England (A15) on 8 March 1916. 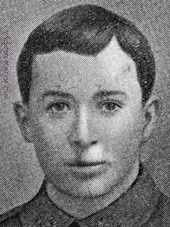 He died on 2 September 1916 at the 2/1st South Midland Casualty Clearing Station, Warloy, France, of wounds received in action, on 29 August 1916, aged 23. 12th August 1916, aged 25. Son of John and Emily McKenzie, of Windsor Rd., Northmead, New South Wales. Native of Petone, New Zealand. Also known as William Ray McKenzie, 15th Battalion of Parramatta North, NSW. 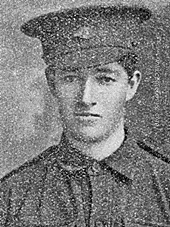 A labourer prior to enlisting, he embarked from Brisbane in April 1915. 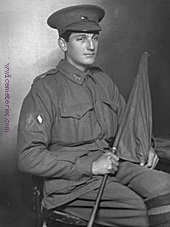 He died at the 13th Australian Field Ambulance Station, France on 12 August 1916, aged 22 from wounds received in action near Warloy, France on 9 August 1916. 26th July 1916, aged 25. Son of James and Annie Mason, of Queen Victoria St., West Kozarah, New South Wales. Native of Sydney. Of Surry Hills, Sydney, NSW. A labourer prior to enlisting, he embarked from Sydney aboard the HMAT Euripides (A14) on 2 November 1915. He was wounded in action at Pozieres, France and died of his wounds on 26 July 1916, aged 25. 31st July 1916, aged 23. Son of Arthur George and Grace Oliver, of "Graceburn," Wattle Tree Rd., E. Malvern, Victoria, Australia. Native of Melbourne, Victoria. From Oakleigh, Victoria. 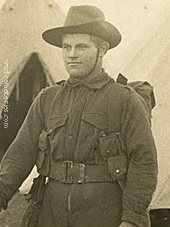 A 21 year old builder prior to enlisting on 19 August 1914, he embarked for overseas as a Private with the 6th Battalion Machine Gun Section from Melbourne on 19 October 1914 aboard HMAT Hororata. He was promoted through the ranks from Lance Corporal to Sergeant and then to Second Lieutenant on 6 September 1915 and to Lt on 14 July 1916. After serving at Gallipoli, he went on to serve on the Western Front where he was wounded in action on 27 July 1916 near Pozieres, France. 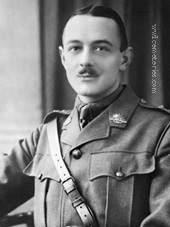 Lt Oliver died of wounds on 31 July 1916. 31st July 1916, aged 19. Son of William Edward Joseph and Elizabeth Plumb, of "Clareville," Lawson, New South Wales. Native of Junee, New South Wales. Of Lawson, NSW, wearing the badge which denotes that he is a qualified signaller. Pte Plumb enlisted on 11 May 1915 and embarked aboard HMAT Runic in Sydney on 9 August 1915. 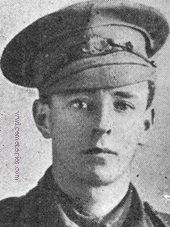 On 31 July 1915 he died of wounds at Contalmaison, in the Pozieres area in France, whilst a member of the 5th Australian Machine Gun Company. Note he is holding a signal flag. 20th August 1916, aged 21. Son of Henry and Eva Richards, of High St., Eaglehawk, Victoria, Australia. Native of Beaconsfield, Tasmania. 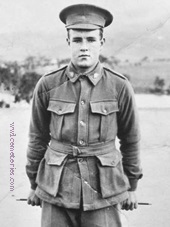 He enlisted in the 1st AIF in 1914, serving in the 7th Battalion. A sailor prior to enlistment, he embarked on 19 October 1914 aboard HMAT Hororata (A20). He was later promoted to the rank of Corporal. He died of wounds on 20 August 1916. 24th July 1916, aged 19. Son of William Patrick and Rose Ryan, of Blessington, Tasmania. A labourer of Blessington, Tasmania, he enlisted on 27 July 1915 and sailed with the 9th Reinforcements aboard HMAT Hororata on 27 September 1915. He died of wounds, aged 19, on 24 July 1916.